Cottage Style. This is an informal scheme, with plants that flow into each other in a tapestry of color, form, and foliage type. 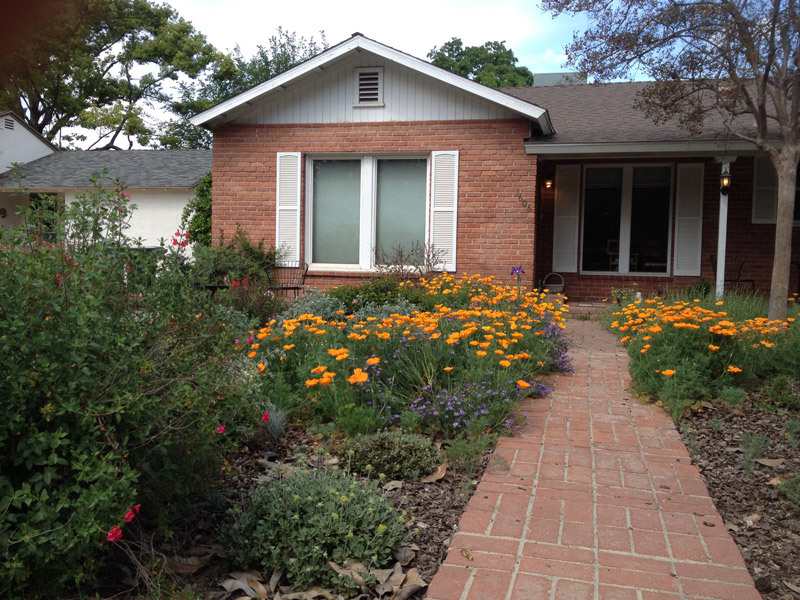 A British term from the 1870’s, “wild garden” is often included in the California native cottage-style garden. The trick is to make sure there is something interesting happening all the time and, if in a front yard, that at least a minimal sense of control is maintained. Structure cannot be forgotten, since the garden must look good even when plants are dormant or are not blooming. Garden “Rooms”. In this style, each area has a distinct purpose and look. Garden “Rooms” are a common Mediterranean style, seen all over the world. 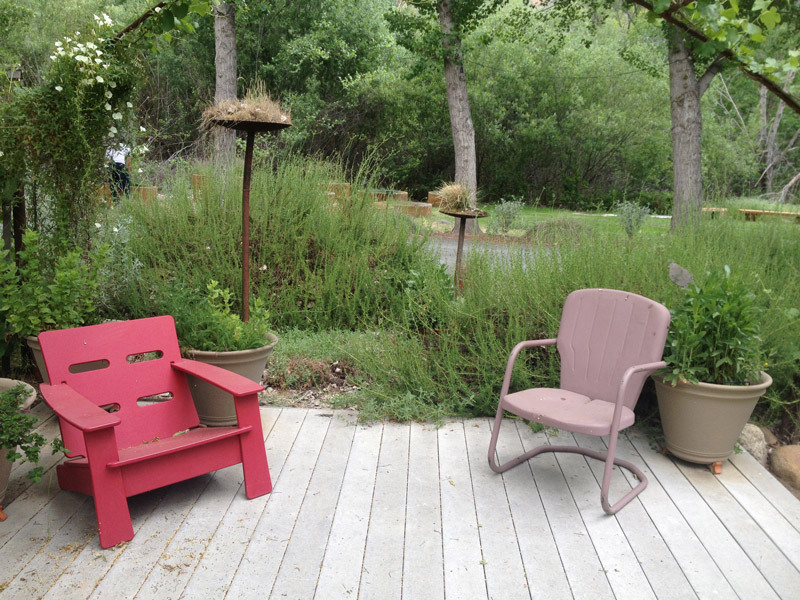 In the California native plant garden, some rooms may look livelier than others at the different times of the year. There is an emphasis on outdoor living, and special attention to the design concept of floors, walls, and ceilings. Sometimes floor surfaces are used both indoors and outdoors to blend the line between rooms. Outdoor couches, dining areas, and outdoor kitchens are other features of the Garden Room style, often with California wild grape rambling over pergolas. French Style. Do you have hedges surrounding planting beds? Do you include a kitchen garden surrounded by California ornamental plants? Do you have a long row of trees or shrubs bordering a path or driveway? These, along with raised beds and geometric patterns, are from French landscape design. Using California plants in a more orderly, formal way is perhaps the newest way we are using our state’s species. Japanese Style. Ideas such as the “borrowed view” and using rocks to mimic water in the garden fit in quite well with the new California garden. Anytime we use boulders strategically, or design a strolling path with turns and mysteries, we are using Japanese garden inspiration. Americans have always borrowed ideas from around the world for landscape inspiration. In our new California gardens, we continue to use themes that have been pleasing for generations. 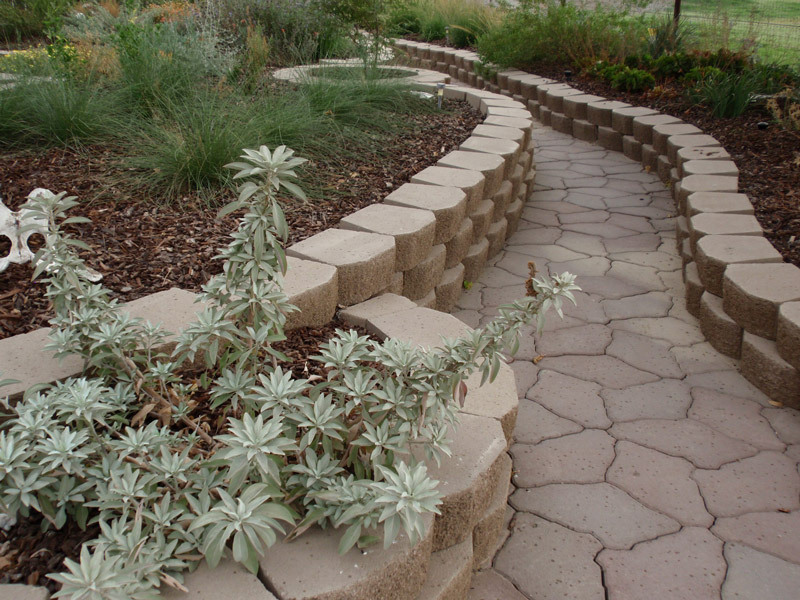 Thinking in terms of design helps us organize what we are doing and guides our plant choices. Which style is yours? This entry was posted in Garden Design and tagged garden style, Garden with Natives, landscape. Bookmark the permalink. ← Videos from CNPS 2015 Conservation Conference are now on YouTube! Many people love symmetrical, minimalist styles – inspired by high-end design. Native plants can work in those environments as well, but they often include more maintenance (pruning) and therefore more green waste. My preference is for organized, repeating patterns, but not so boxy and manicured that constant vigilance is required to keep things perfect.